The most reliable method for numbering spinal levels is to begin at the top and count down from C2. 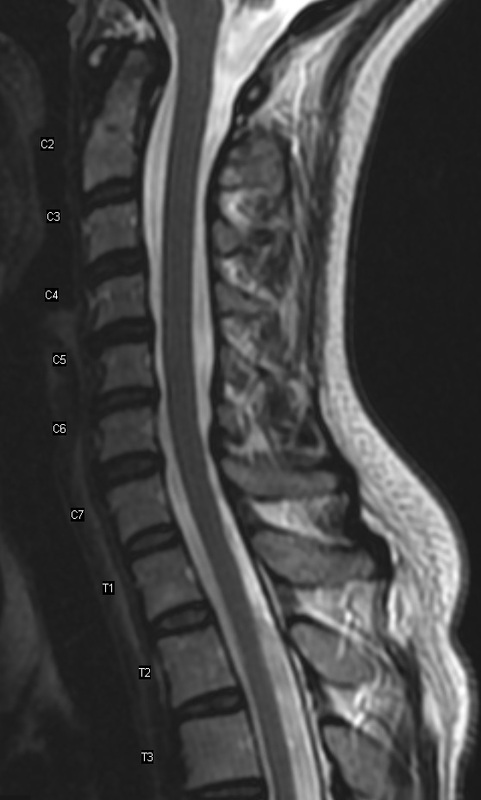 However, often we are faced with interpreting a lumbar spine MRI without visualization of the cervical or even thoracic segments. How then do we identify the proper numbering of the vertebrae? In the lumbar spine, particularly when there is a transitional vertebrae, it can be difficult to distinguish which should be L5. 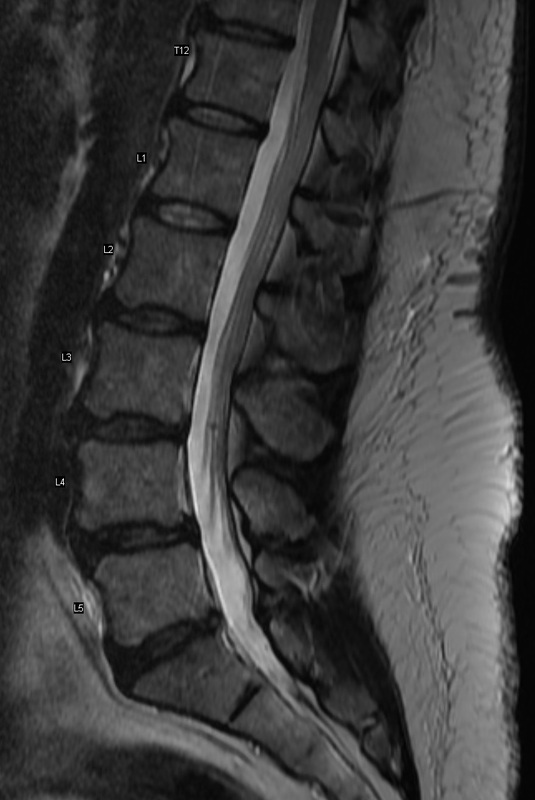 The best indicator is the iliiolumbar liagment, which extends from the ilium to the transverse process L5 vertebrae. 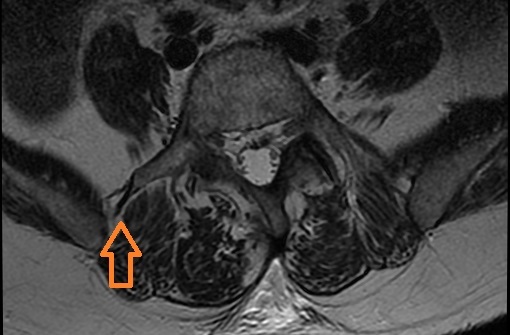 Iliolumbar ligament (orange arrow) attaching L5 transverse process to right ilium. Sometimes helpful is the left renal artery which characteristically is at the L2 level, and the aortic bifurcation at the L4 level. "L5 is identified by the iliolumbar ligament. Using this enumeration, the conus terminates at ()."